The contents of this post might be a little outdated. We try our best to give you the most current info, so older posts, such as this one, may not be as relevant today as they once were. The Garden District of New Orleans is the base for gorgeous mansions and architecture, delicious dining, cemeteries, bookstores, museums and more. Ah, Garden District, how I do love thee. Neither Uptown nor Downtown, boasting wonders of the natural outdoors in equal amounts with the nurturing of New Orleans shopping, eating, drinking, and carousing; it’s where you go to breathe history, behold amazing architecture, buy unique gifts, and be amazed by the namesake gardens that surround the mansions sprinkled throughout this New Orleans neighborhood. 1. Bleed Green – We bleed black and gold year round, of course, but on the edge of the Garden District in the Irish Channel (riverside of Magazine from Jackson to Louisiana), green abounds in the streets. 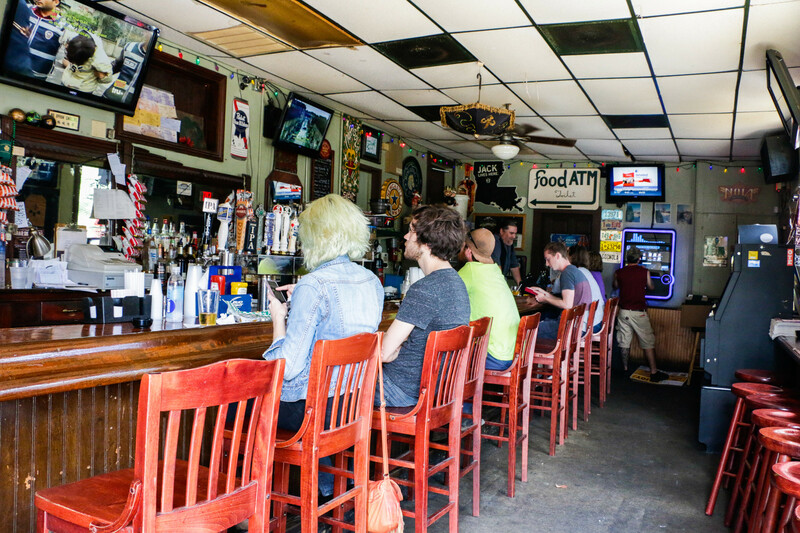 Year round, locals love to hit up Irish bar behemoths Tracey’s and Parasol’s for beer, po-boys, and fried pickles. Oh, and of course, fanatical good Irish times. 2. Shopping – Historically Canal Street has been the heartbeat of New Orleans shopping, its wide stripe cutting the city in half from the river toward the lake. These days, Magazine Street provides the premier purveyors of shopping opportunities in New Orleans. Got a baby on board, or know someone who does? Check out Zuka Baby for the best NOLA gifts for your youngest whippersnappers, or Pippin Lane for kids of all ages. 3. Drink and Dine – When I was little, I played a game with my friends. You’d sit in a circle and someone would say a word, and the next person had to say the first word that came to mind. Walk up to any New Orleanian and say “Commander’s Palace,” and the first words you’ll hear? “25-cent martinis!” One more time? “Commander’s!” “Martinis!” “Commander’s!” “Martinis!” There we go. And there you should go, for a fancy lunch with basically free martinis at, arguably, the restaurant most often voted number one in New Orleans. 4. 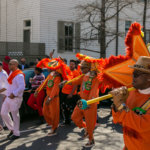 Bury Your Dead – There is nothing in the world like walking into the New Orleans history that lives among the raised graves in cemeteries around town. Need a pause before you move on after your magical Commander’s Palace meal? Stroll across the street and meander through the graceful, haunting gravestones and memorials of the oldest cemetery in the city, Lafayette Cemetery No. 1. 5. Architecture – Wait, what? Buying a multimillion dollar home with the most incredible gardens in the city wasn’t on your hit parade? No worries. When Americans moved into New Orleans after 1803, the most elite started buying mansions of every style in the area, from Greek to Italian to French. Fast forward to present day, and our own elite have houses all over the area, including Anne Rice, Sandra Bullock, and Archie Manning. 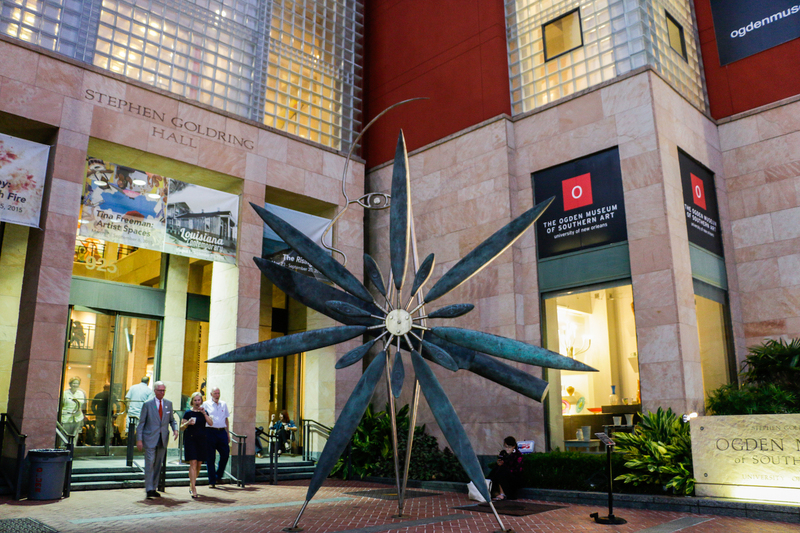 Check out one of many self-guided walking tours online, or whet your true architectural appetite with a guided tour. 6. Books and Brews – Okay. You’ve walked. You’ve shopped. You’ve sipped. Time for a nap, but who naps in New Orleans? (All of us, actually, but if you have a short amount of time in town, we urge you to push through – we’ll give you something to do 24/7.) Welcome to your nap-alternative solution: a browse at local independent bookshop Garden District Books and a coffee at local independent coffee shop Still Perkin’, conveniently located in the same building at the corner of Washington and Prytania. 7. Chow – If you ask me the existential question, “Should there be a burrito category for [fill in whatever contest you’d like],” my answer will always and emphatically be “YES.” In this case, I’m using this category to love on Juan’s Flying Burrito, a local favorite for cheap, delicious, filling “Creole taqueria” food, with lots of options for vegetarians among us. 8. Museum – We have extraordinary museums in New Orleans: WWII, Ogden, Southern Food and Beverage, etc. What few people realize is there’s a small gem of a museum tucked away in the Garden District, the New Orleans Fire Department Museum, which is free, available for large and small groups, and gives hands on experience with and history on firefighting in New Orleans. Tours are scheduled five days in advance and up to 30 visitors per tour, and can be arranged by calling (504) 658-4713. 9. Biking – Bias: I am a bicycle rider. 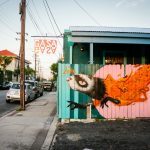 I ride my bike everywhere, including from my Irish Channel apartment to work in the CBD every day, to events in the French Quarter and the Marigny, to crawfish boils and festivals in Mid-City, to hang out at the fly in the Riverbend. I love my bike. There is nothing like seeing and smelling and stopping across New Orleans on a bicycle as you take in the natural wonder of not only the Garden District, but also its surrounding neighborhoods. 10. 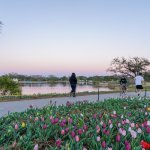 Bed, Breakfast and Beyond – With so many things to do and so many places to go right here in the heart of New Orleans, why go elsewhere when it’s time to hit the hay? Truly feel like you’ve gotten away by staying here in gorgeous homes turned bed and breakfasts that have been refurbished in a number of historical styles, perfect for a romantic weekend, a relaxing vacation, or a Rhett and Scarlett style Gone with the Wind-lover.